Elizabethan drama refers to the plays produced while Queen Elizabeth reigned in England, from 1558 until 1603. 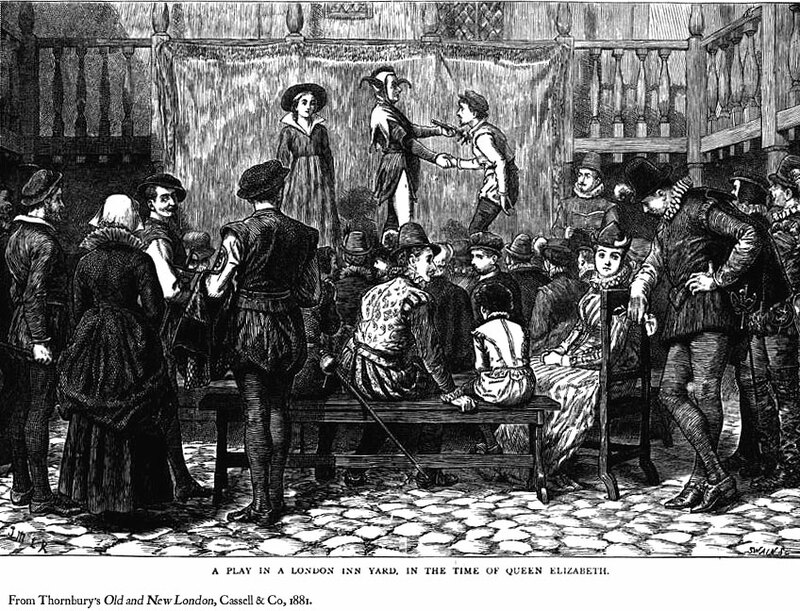 It was during this time that the public began attending plays in large numbers. The opening of several good-sized playhouses was responsible for this increased patronage, the largest and most famous of which was the Globe theater (1599), home to many of Shakespeare’s works. The most popular types of Elizabethan plays were histories of England’s rulers, but revenge dramas and bawdy comedies also drew significant crowds. Although Shakespeare was the most prolific and certainly the most famous of the Elizabethan dramatists, other popular playwrights of the period included Christopher Marlowe (Dr. Faustus) and Ben Johnson (The Alchemist). Before the age of Elizabethan drama, plays tended to be based on religious themes. Elizabethan dramas, however, focused on more secular issues. Learning about the “heroic past” of their country was important to England’s playgoers. Christopher Marlowe preceded Shakespeare with the historical play Edward II, but the Bard of course wrote many histories too, including Richard III and Henry V.
Tragedies of the era focused on creating a sense of both terror and pity in the audience. Shakespeare was the master of tragedy (Hamlet, Othello), but other writers were quite popular as well, including John Webster who had a hit with The Duchess of Malfi. Perhaps for the first time, English patrons during the Elizabethan period could go to the theater for a good laugh. Again, though Shakespeare was the most popular, other successful playwrights such as Ben Johnson (The Alchemist) enjoyed poking fun at society and its institutions. One of the appeals for Elizabethan playgoers was the theater’s bawdiness. 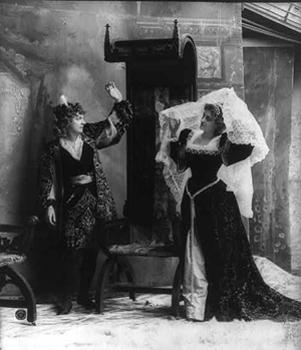 Sexual innuendo and sexual situations were common features of many plays. The dramas of the Elizabethan period printed in The Harvard Classics serve to give a taste of the quality of this literature at its highest, but cannot, of course, show the surprising amount of it, or indicate the extreme literary-historical interest of its rise and development. Seldom in the history of the world has the spirit of a period found so adequate an expression in literature as the Elizabethan spirit did in the drama; seldom can we see so completely manifested the growth, maturity, and decline of a literary form. But beyond these historical considerations, we are drawn to the reading of Shakespeare and his contemporaries by the attraction of their profound and sympathetic knowledge of mankind and its possibilities for suffering and joy, for sin and nobility, by the entertainment afforded by their dramatic skill in the presentation of their stories, and by the superb poetry that they lavished so profusely on their lines.